Some players are born to control the pitch, and every teams needs players who can keep the squad on track as chaos arise on the pitch. 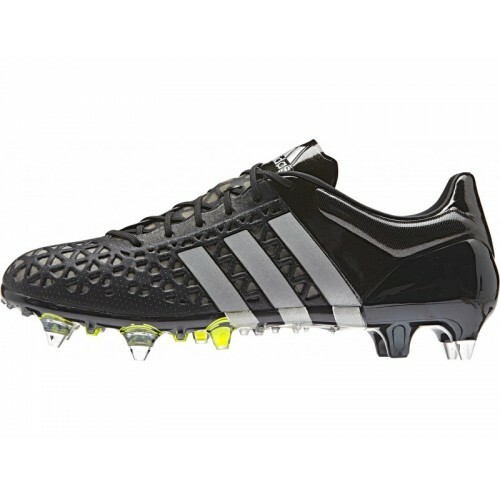 ACE is a brand new boot silo from adidas, which is designed for the player who calls the shots, sets the pace and implements the manager’s game plan. The boot is made with a premium kangaroo leather upper, which will wrap around your foot straight out the box. The kangaroo leather ensures that the upper will quickly adapt naturally to your foot and give you that snug fit. 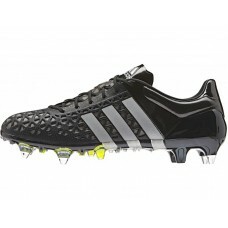 The leather upper also provides a clean and sharp ball feel. In order to dominate all facets of the game and obtain maximum control on the pitch, you will need just the right stability. The ACE 15.1 is equipped with a new heel counter the is able to control the foot and deliver optimal lockdown. Moreover, the heel counter also serves to protect your foot. But in addition to the regular studs you will also find more smaller studs under the sole. The increase number of studs ensures a perfect ball control, as more studs will be in contact with the ball as you put your foot to it.